A florist based in Saint Charles, Illinois who loves watercolors, her cat Lisa, and spending time with friends and family. I’ve been in the floral industry for about 6 years now. Last May, I graduated Gordon College with a Bachelor of Arts in Business Administration with minors in Art and Accounting. Recently, I completed a Certificate in Floral Design at Kishwaukee College! I have been taught by some of the best. Janet and Joyce, experienced and talented floral designers, have been so influential in my journey as a floral designer. 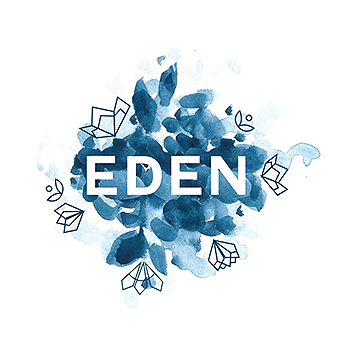 This past year, I officially started my own business, EDEN, which has been a dream of mine for a while now. This experience has been incredibly rewarding so far and I can’t wait to see what God has planned for me and my business in the future. Floral design is my passion and I’m looking forward to all the weddings I will be part of this year and all the brides and grooms I have yet to meet! I’d love to talk with you more about EDEN! Feel free to contact me with any questions you may have or to schedule a consultation. Photo Credit: To my wonderfully talented photographer Catie Scott Studio!